Mai Chau - 1 Day Tour. Escape the kinetic energy and unmistakable chaos of Hanoi on a visit to the hillside destination of Mai Chau. Visitors can embark on a traditional homestay in the rural villages surrounding Mai Chan and spend the night tucked into old-school stilt houses amid wildlife and nature. The remarkable juxtaposition between city and country is never more evident than on a two-day escape to this popular stop. Visitors will find plenty of rolling country trails for biking and hiking nestled amid the emerald hillsides of this stunning landscape. The breathtaking scenery is just part of what attracts locals and tourists alike and the quiet splendor of nature proves pure relaxation for those who travel through it. Visitors can mingle with White Thai locals and learn more about the cultures and traditions that make this ethnic minority so unique. Incredible brightly colored textiles handmade by local women make for the perfect keepsake to remember a stay in Mai Chau. Mai Chau’s close proximity to Hanoi makes it the ideal escape for locals, which means weekends are often busy due to Vietnamese travelers. Visitors who want to experience Mai Chau at its best would do well to visit during the mid-week when crowds are fewer and the town’s rural beauty is most evident. 07:45 - 8:15 - Pickup at meeting point and depart for Mai Chau. 18:30-19:00 - Drop you off at your hotel. Tour ends. · The itinerary can be changed due to weather, tide levels and operating conditions. 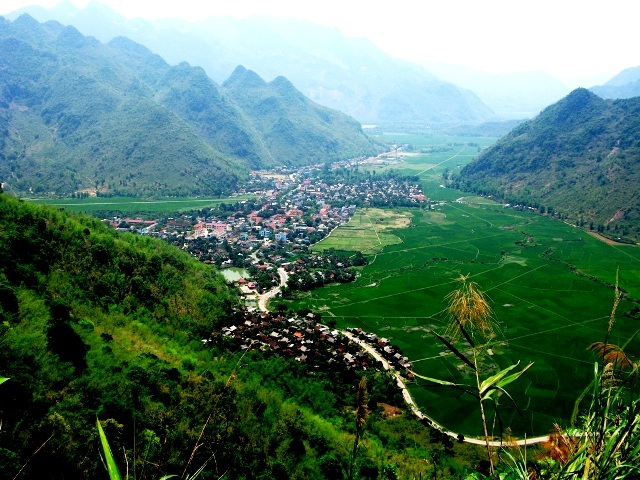 What do you think of Mai Chau Full Day Tour?